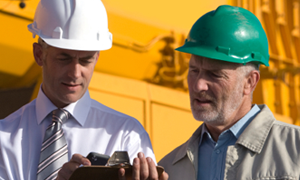 About Us - Synergy Professionals, Inc.
Synergy provides professional recruiting for the construction industry. We recruit true construction talent – people who know construction and love to manage it. We match exceptional construction managers with outstanding construction companies. engineering and construction for nineteen years. project management, and another ten as a Chief Estimator. He created Synergy Professionals because he saw a need for a better recruiter. Tricia Bilbo, joined Synergy Professionals after twelve years of successful business development and account management in construction and interior design for contract furniture and architectural solutions. Her previous experience included interfacing frequently with facility owners, general contractors and architecture/design firms to provide a turn-key solution for interior solutions and space planning. She has diverse experience with federal, state and local government as well as private commercial projects. She also recruited IT and Engineering professionals nationally and provided her clients with experienced pre-screened candidates leading to multiple hires while building solid relationships with hiring companies. As Atlantic Regional Director, Tricia leads our Chesapeake, VA office. In this role she directs Synergy’s recruiting efforts, while teaming with our Mid-Atlantic clients to combine her own experience and expertise with Synergy’s proven methods to successfully recruit highly qualified construction talent in this challenging market where that level of talent is extremely rare.